This is the period when salivary flow typically begins to decrease. This is a subtle decrease, almost not noticeable when it starts. The decreased salivary flow usually does not become a problem in this decade, but is starting. Saliva has a protective function for the teeth. The soft white stuff on your teeth (plaque) puts out acid which dissolves the calcium and other minerals on the surface of the teeth. This is tooth decay (cavities). Saliva acts to dilute the strength of the acid that plaque puts out. Think of it this way. If you were going to mix up some lemonade and happened to have three lemons, you could use a little water and make lemonade that is really sour, or you could mix in much more water and get lemonade that is not sour at all. Saliva has a similar function in diluting the acid released into the mouth by dental plaque. The dental plaque is going to put out whatever amount of acid it is making. A little saliva in the mouth will dilute the acid only a little and the decay potential will be high. More saliva will dilute the acid in the mouth much more which will reduce the ability of the acid to dissolve tooth structure significantly. Saliva also acts to make the soft tissues of the mouth more comfortable. It is a natural process for the body to begin to replace the active salivary gland tissue with adipose tissue (fat). In the mouth, normally speaking more saliva is better for health of teeth and soft tissue. At the same time the body is naturally reducing the amount of saliva that is produced, there is a list of dozens of common medications whose side effects include reduced salivary flow which many people begin to use during this period. Salivary flow is significantly reduced during sleep. Since it is impractical to artificially stimulate salivary flow during sleep, we can reduce the acid available for decaying teeth by keeping the teeth more free of dental plaque, and we can add fluoride (in the form of a high dose brush on gel like Prevident) to counteract the dissolving effect of the acid. During this period, more root surface is showing on some teeth. This can bring sensitivity, but more often does not. (See last week’s article) Brushing technique usually has to be modified so as not to brush away root structure. Your dentist or hygienist can give helpful suggestions for brushing technique for your individual case. Root structure does not have the protective layer of enamel that the rest of the tooth has. This means roots have much more decay potential than the other surfaces of the tooth. Hard brushing will cause root structure to disappear and enamel on the rest of the tooth to remain intact. This pattern looks like a rut or a dent along the gum surface of the tooth. This kind of damage is not difficult to repair. Supplemental fluoride is needed in this period to protect any exposed root surfaces. Fillings placed during the teenage years and replaced once already are now beginning to fail again due to corrosion. Cuspal fracture continues, requiring crowns in order to keep the teeth in the long term. Many are contemplating retirement in or just after this period. Planning must be employed to minimize economic impact of filling replacement or cuspal fracture during the coming retirement period. Your dentist will be able to give you individualized advice regarding which teeth would be expected to fracture and what could be done about it now to avoid trouble later when a dental plan might not be available. As well, fillings beginning to show signs of breakdown will need to be evaluated since a filling in place at 55 years old, for example, is quite likely not going to still be in service for the rest of the person’s expected lifespan. Your dentist can help you evaluate whether you need to consider keeping your dental plan or if your case will not make the added monthly expense advisable. 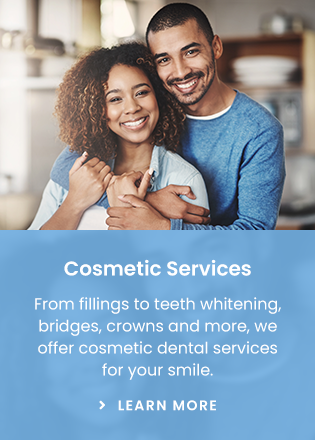 What all this planning is really saying is that your dentist needs a few years notice if you can give it to minimize problems later and to avoid exceeding insurance maximums in the last year or so that a person is working.